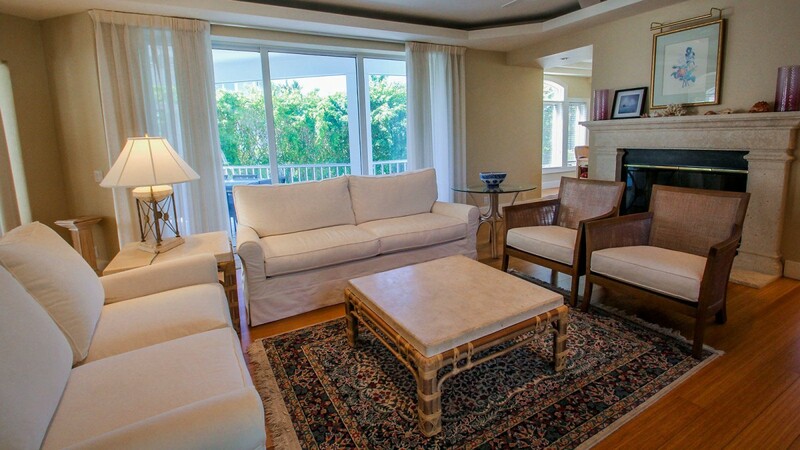 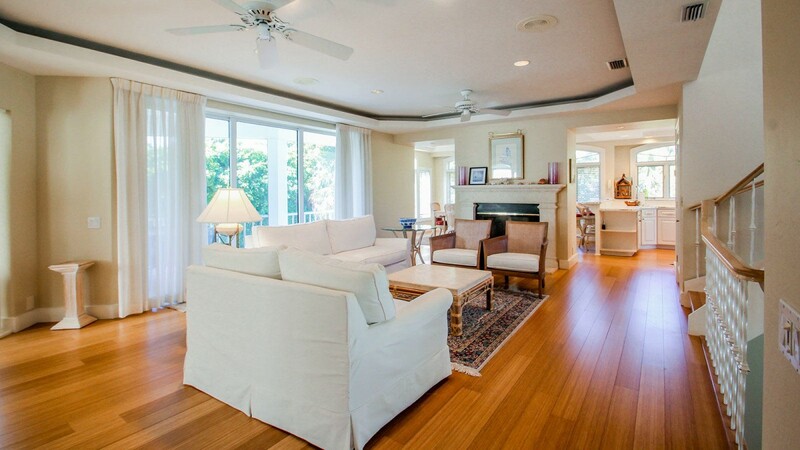 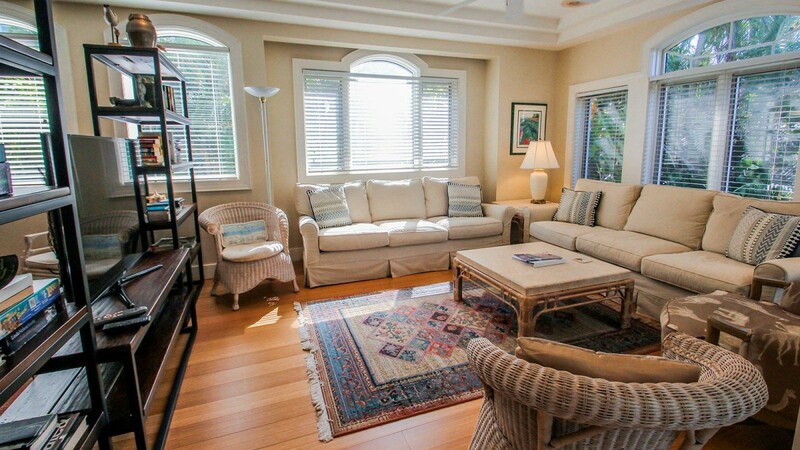 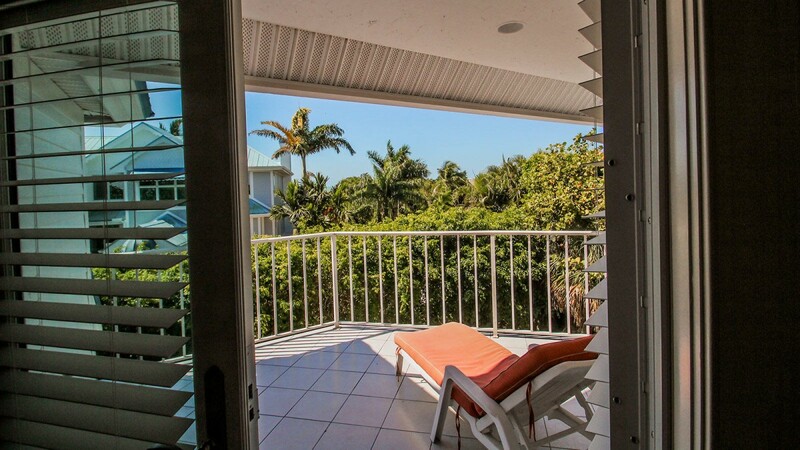 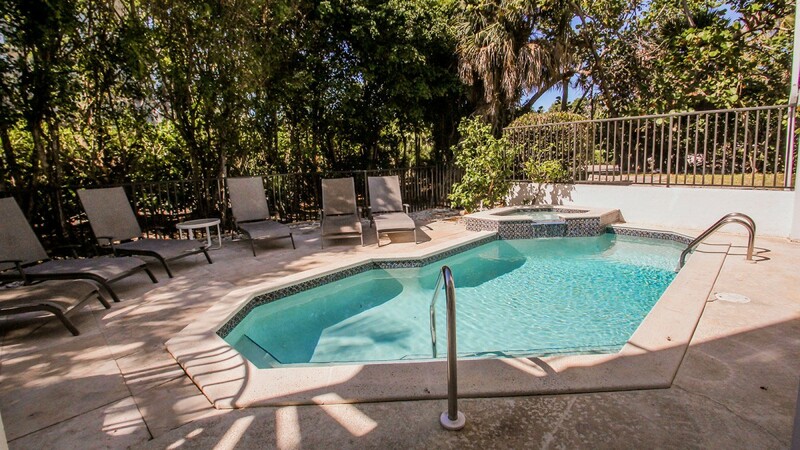 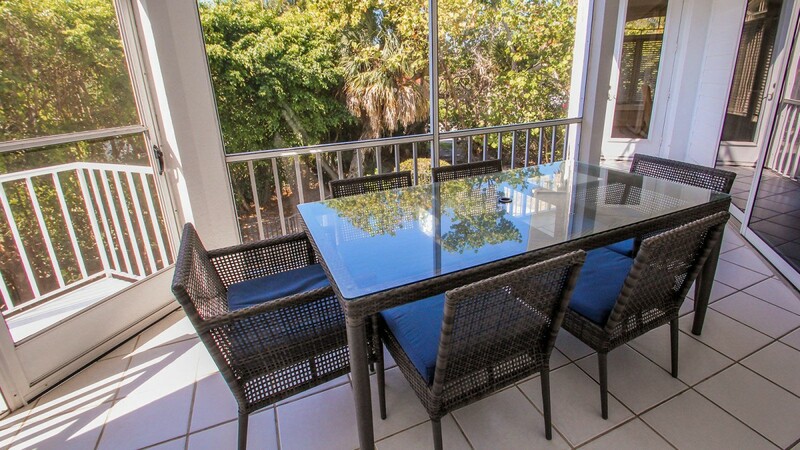 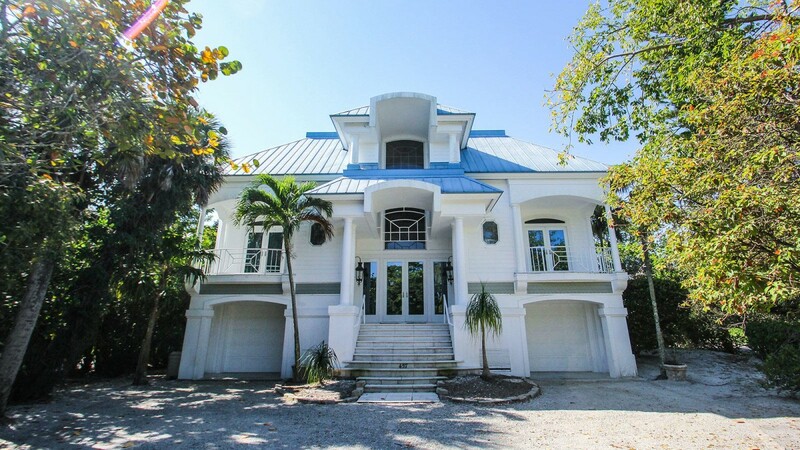 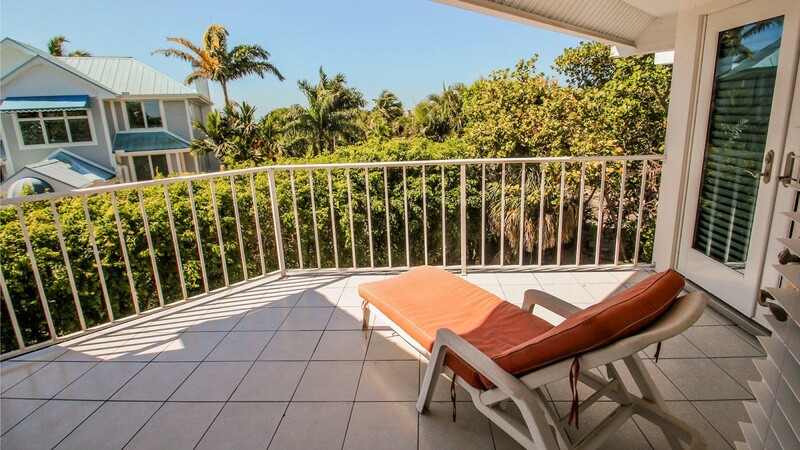 This prestigious 4 bedroom, 4 bathroom home has approximately 3000 square feet in living space and is located at the east end of Sanibel where it is 2 minute walk down a path that takes you directly to the beach. 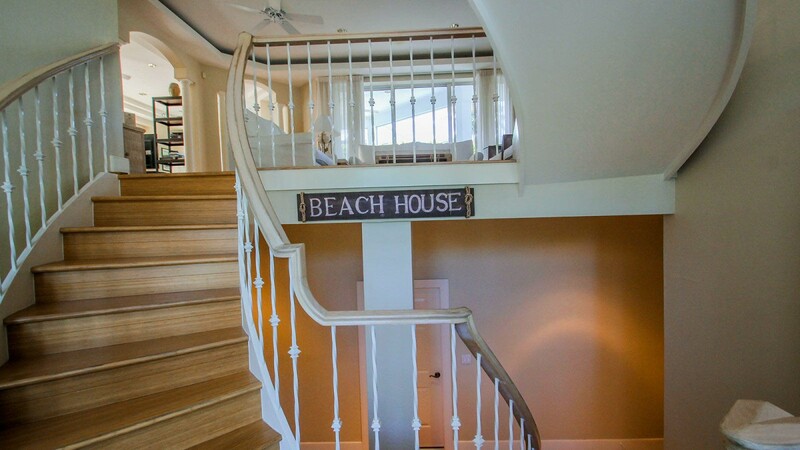 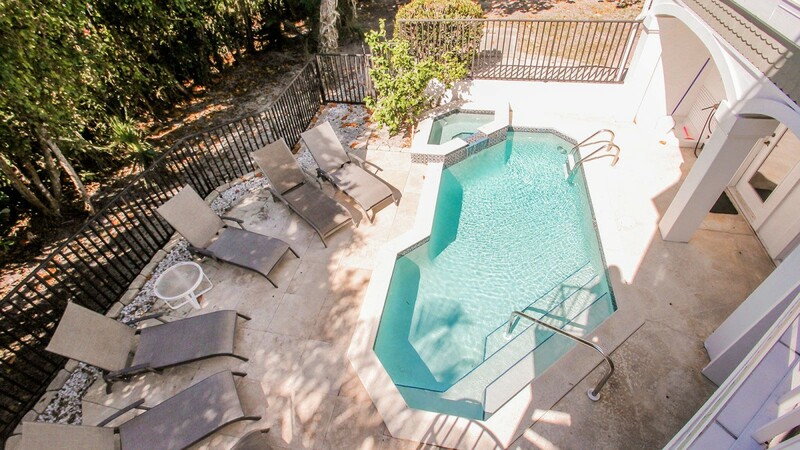 You can enter the home on ground level and take the private elevator (servicing all floors) up to the first living level which has beautiful bamboo wood floors where there is a spacious living room with fireplace and opens to a screened deck which over looks the pool and spa. 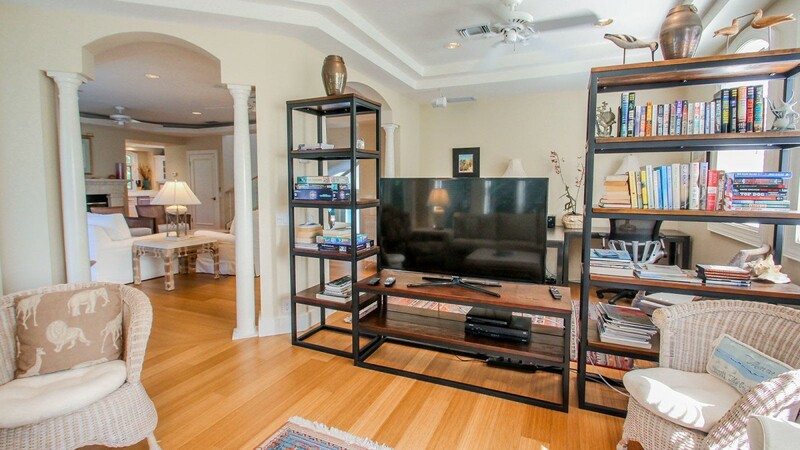 There is a separate family room area with a remote TV/DVD. 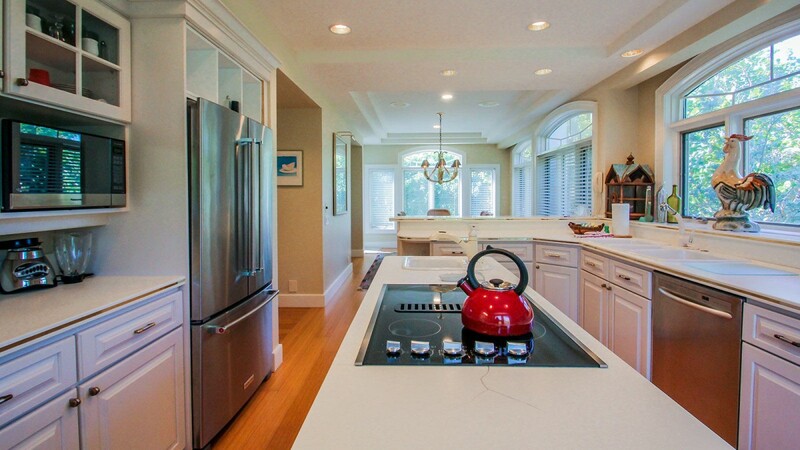 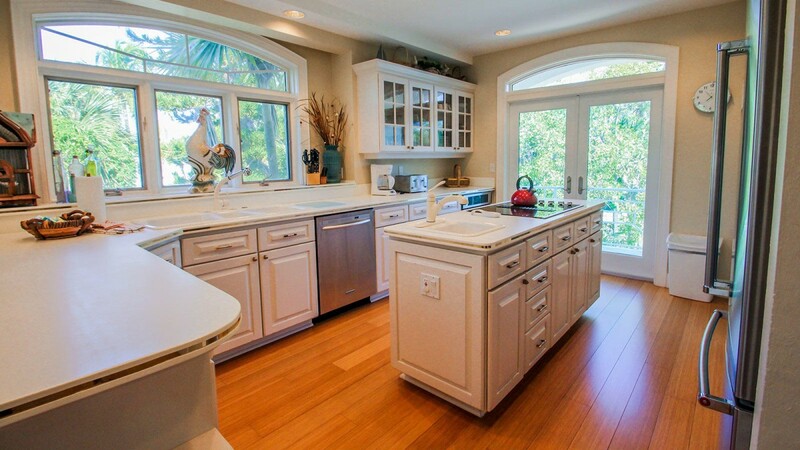 Top chefs will enjoy the well equipped and spacious kitchen with upgraded counter tops, cupboards, and hard wood floors. 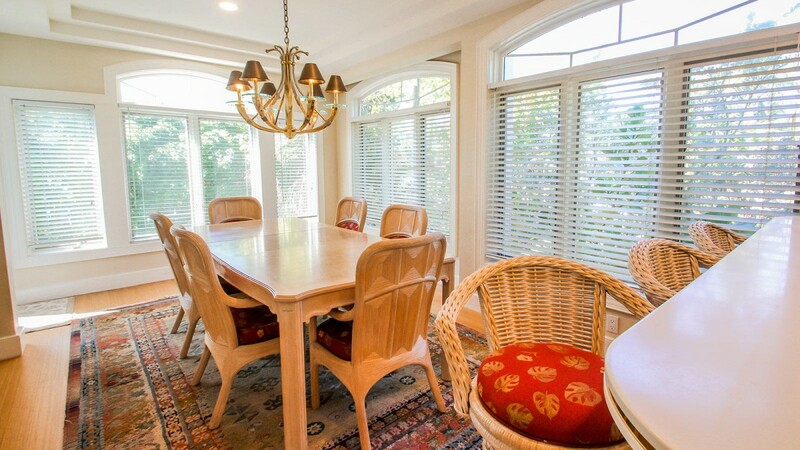 The eat-in kitchen dining room has plenty of room around the table for entertaining an elegant dinner for eight. 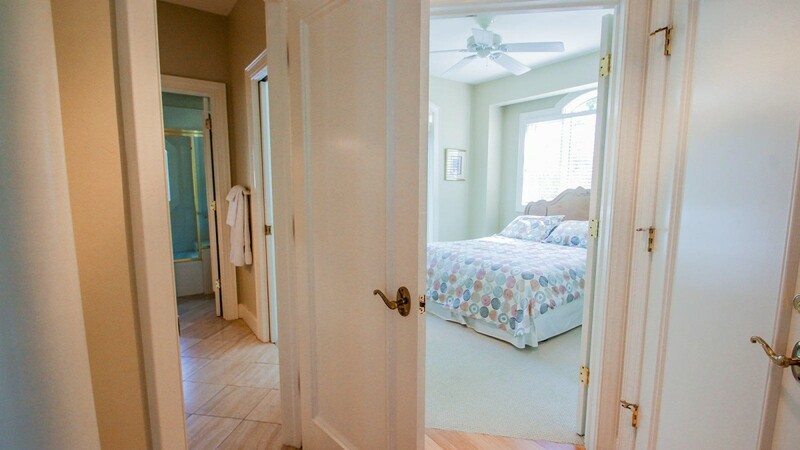 Also located on the first living level is the guest bath with tub/shower combo and first guest bedroom offering a queen size bed. 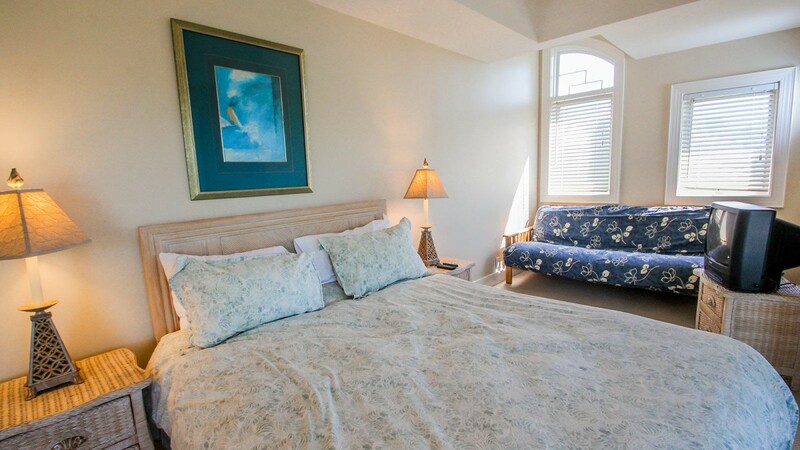 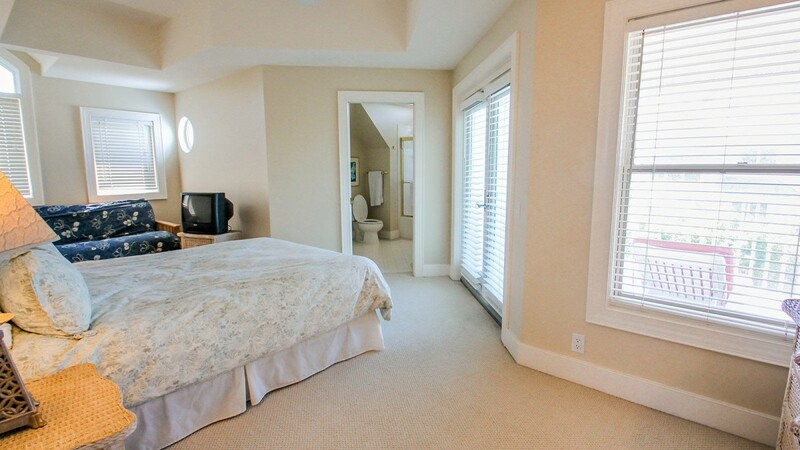 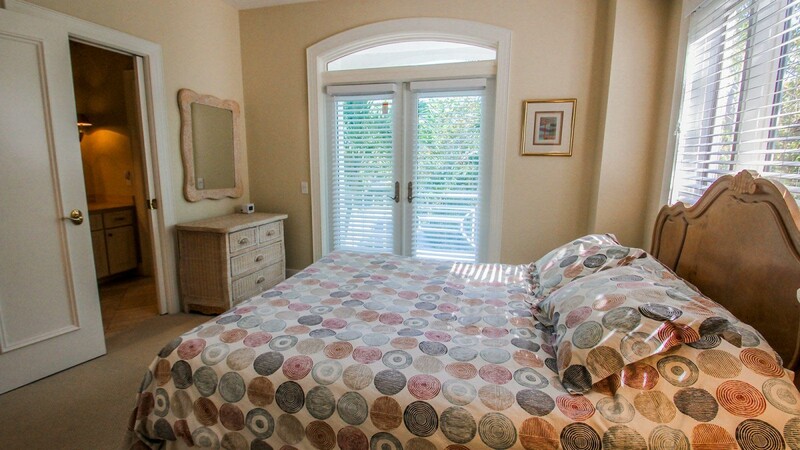 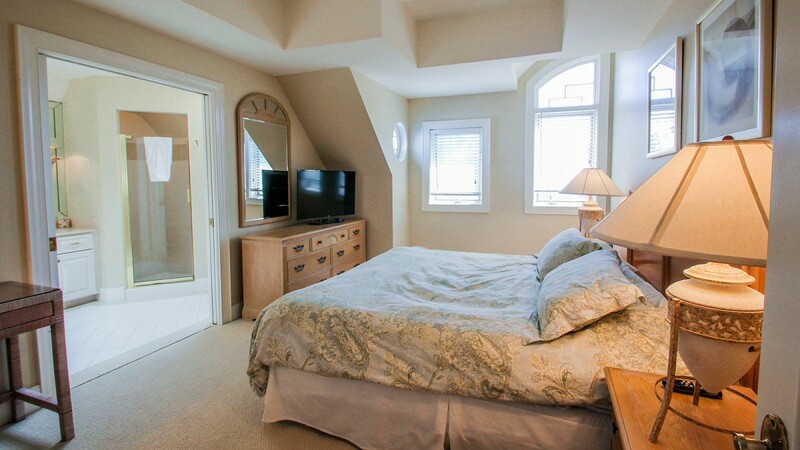 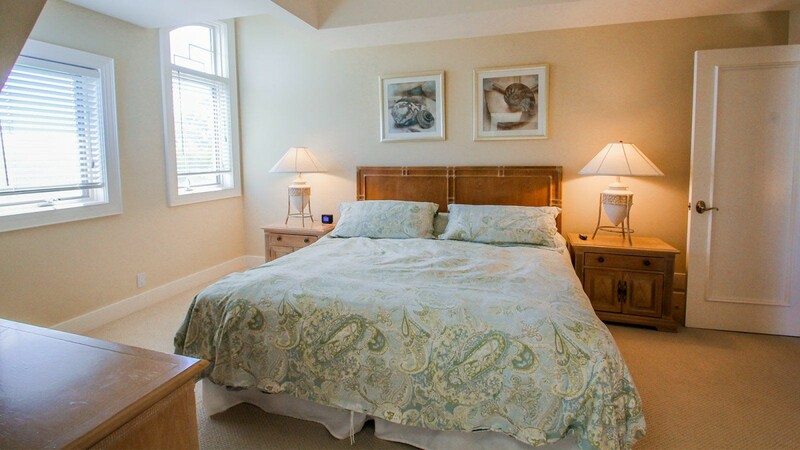 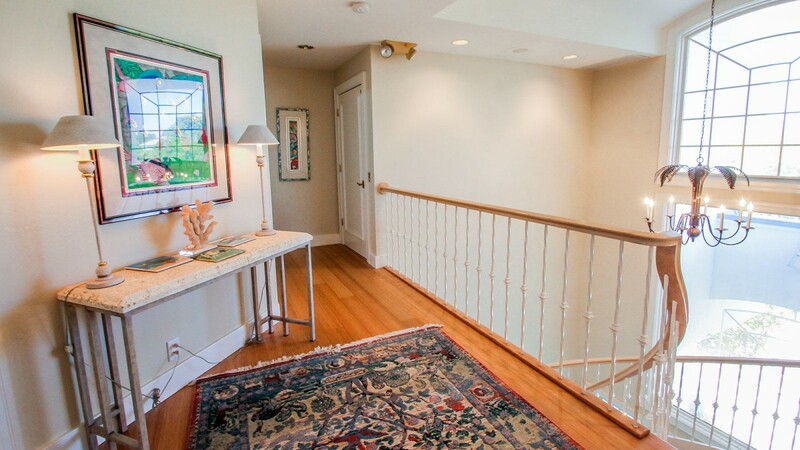 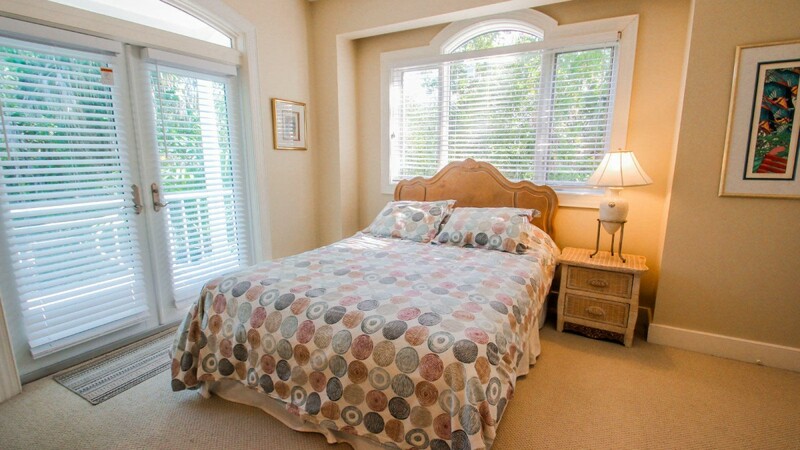 Upstairs you will find 3 more bedrooms each with their own private bathroom. 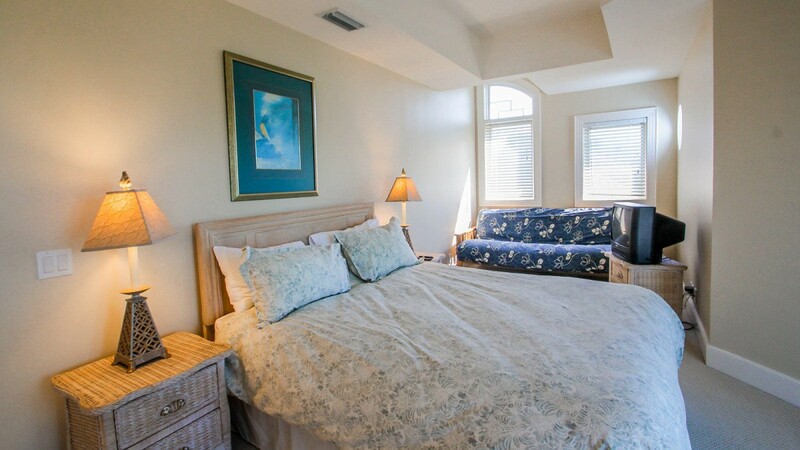 Guest bedroom number 2 has a king size bed and remote TV. 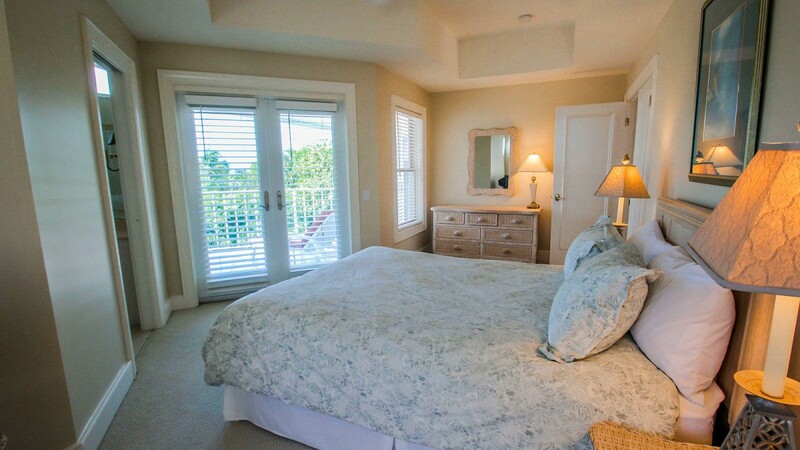 Guest bedroom #3 has a queen size bed and remote TV and opens to the upper screened deck. 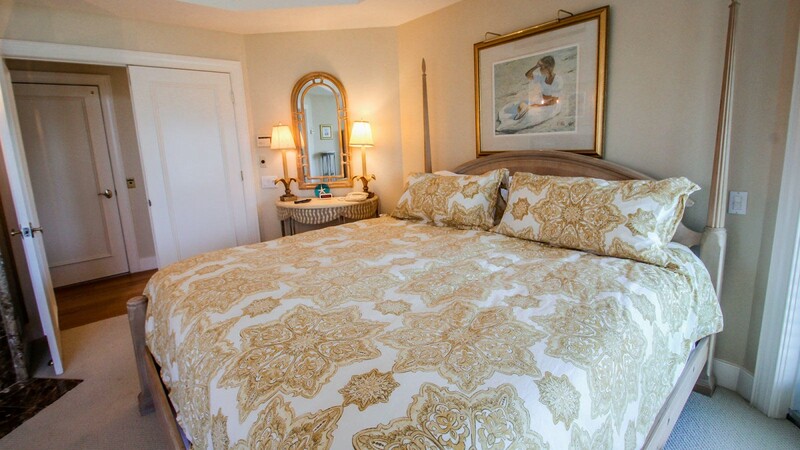 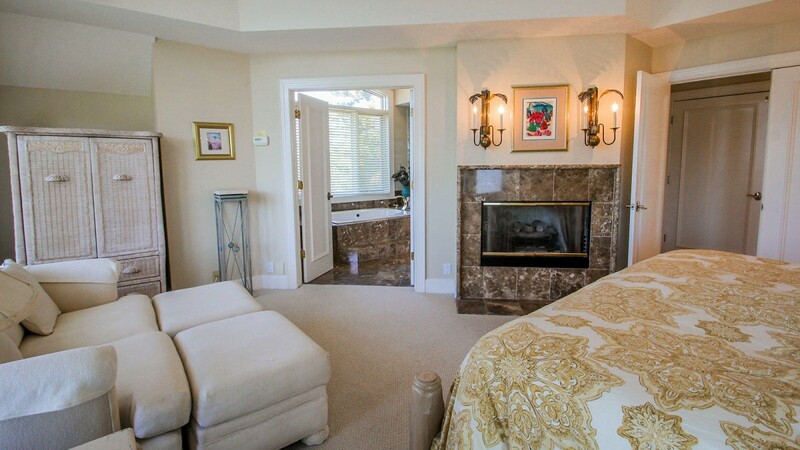 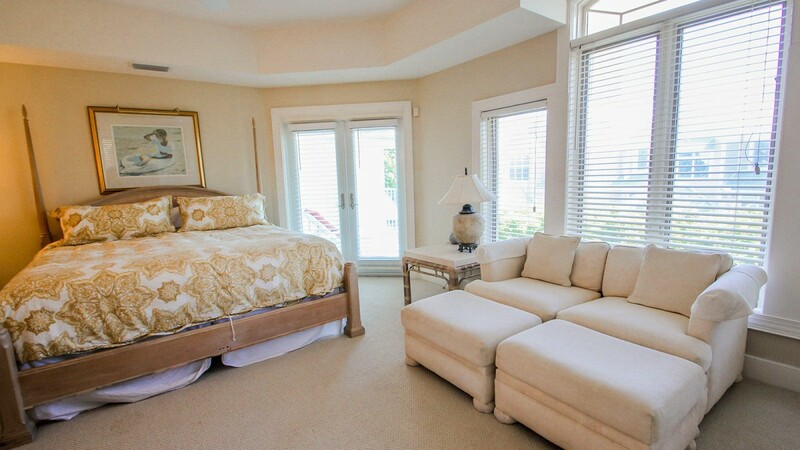 The master suite has a king size bed, remote TV, romantic fire place, and opens to the upper screened deck. 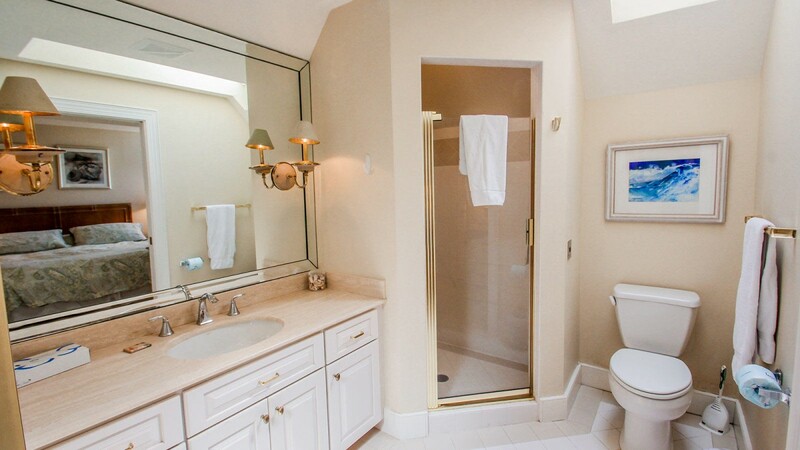 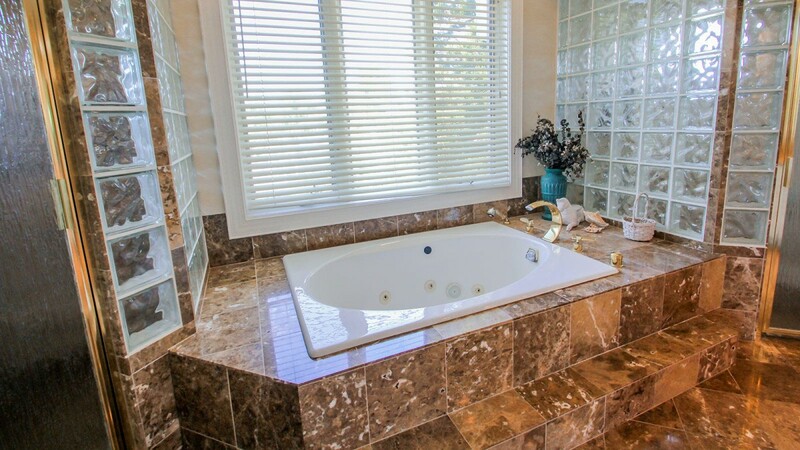 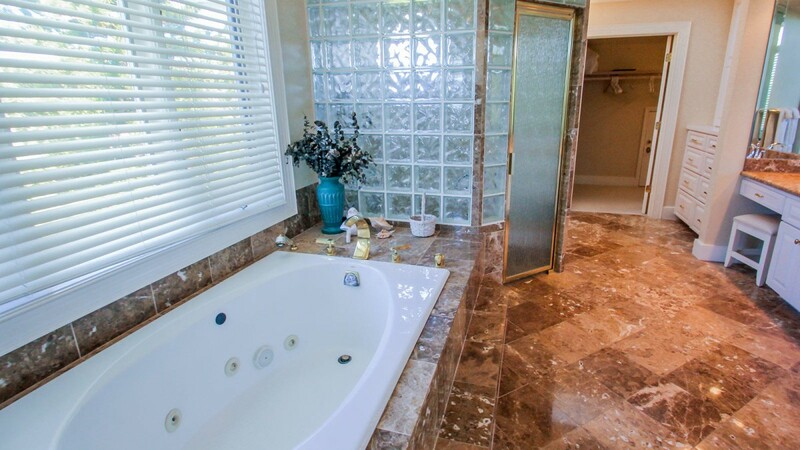 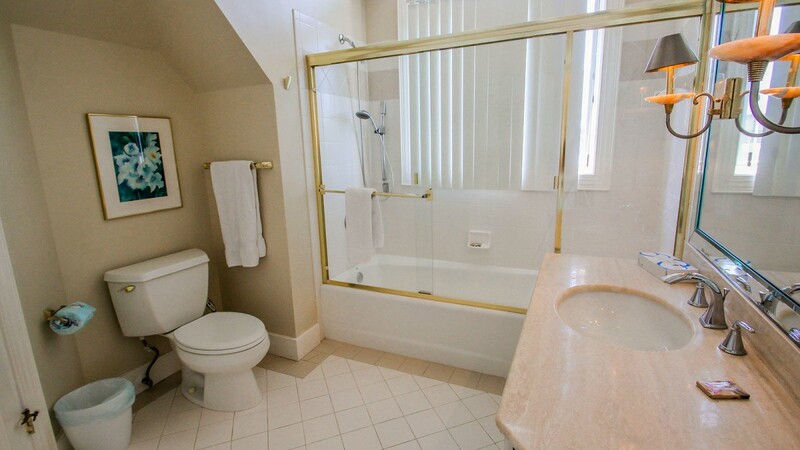 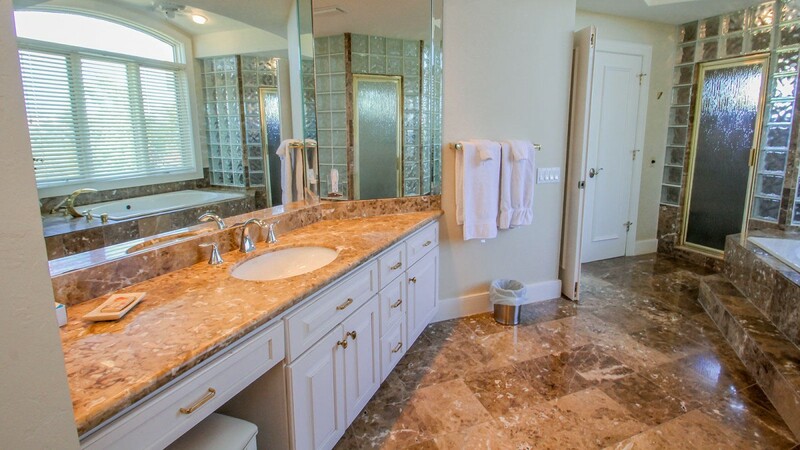 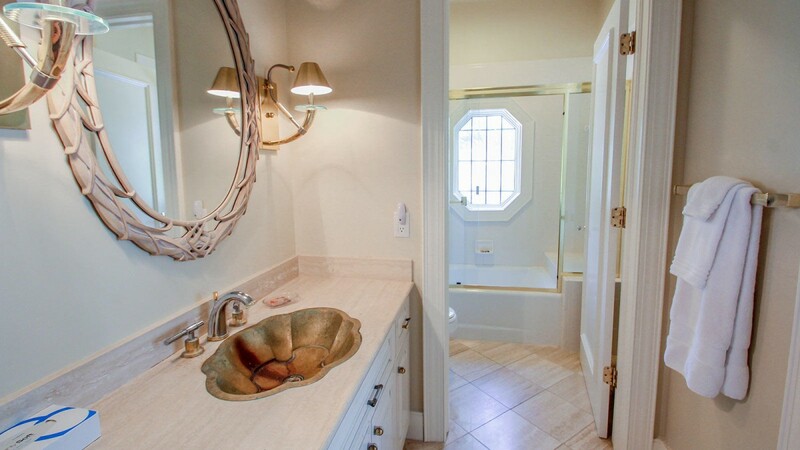 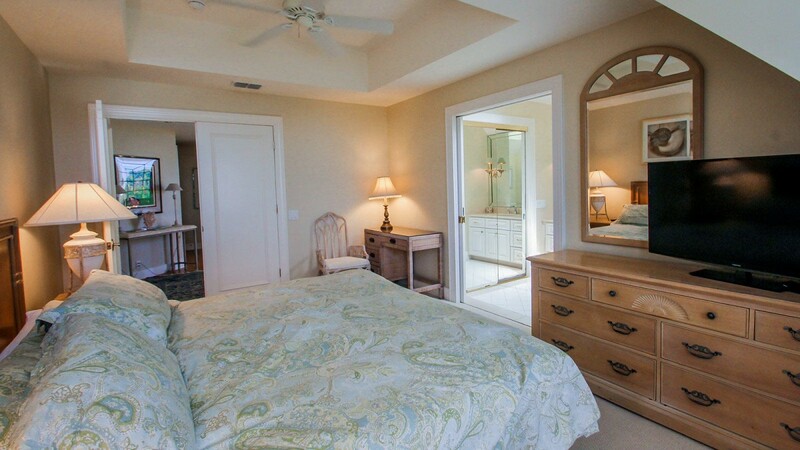 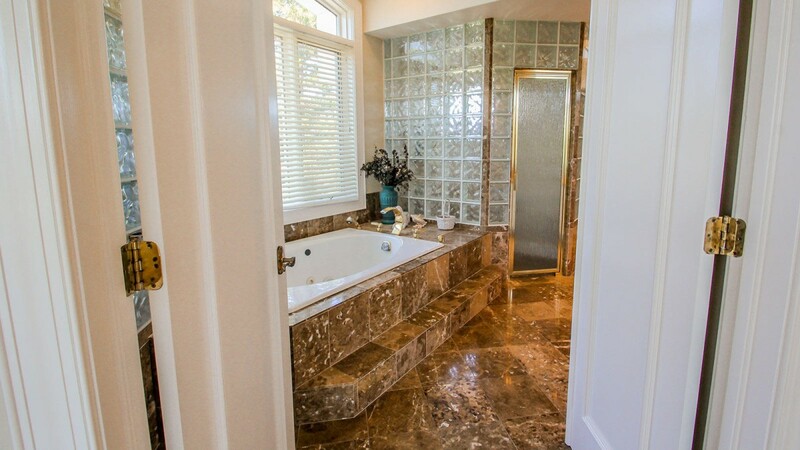 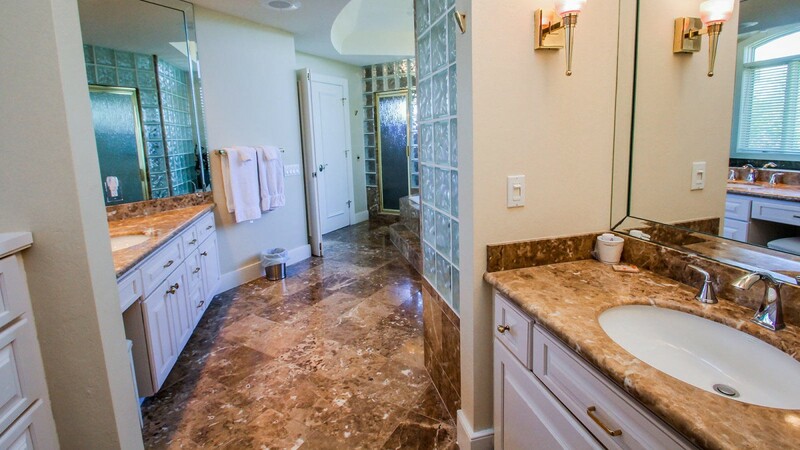 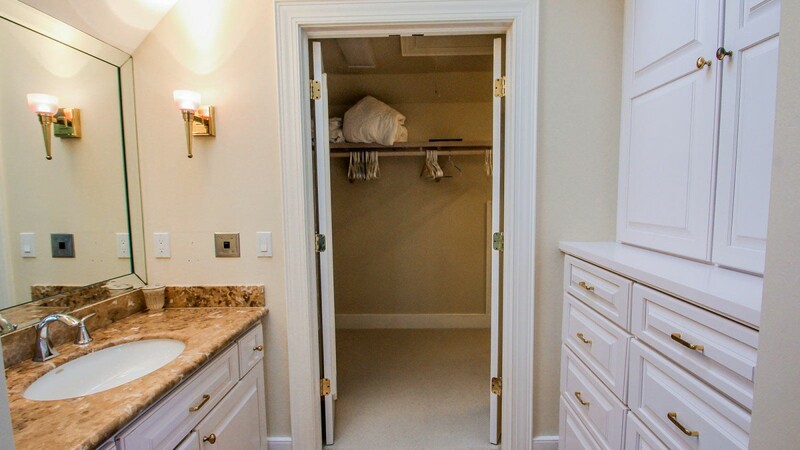 The master bathroom has a Jacuzzi tub, double vanity, separate walk-in shower, and walk-in closet. 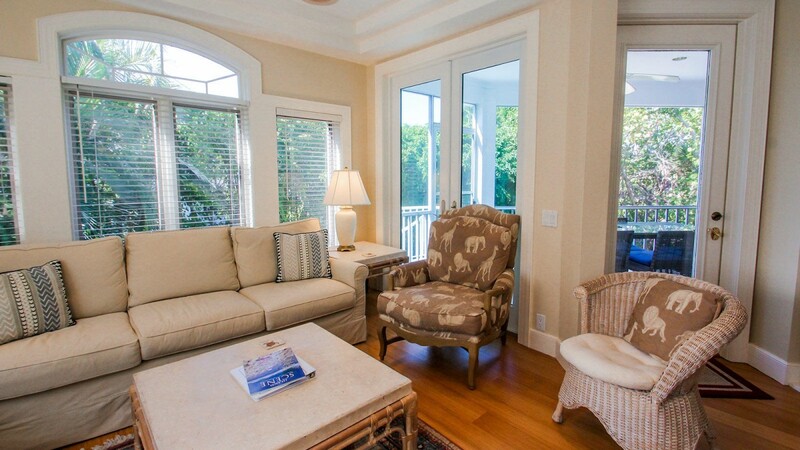 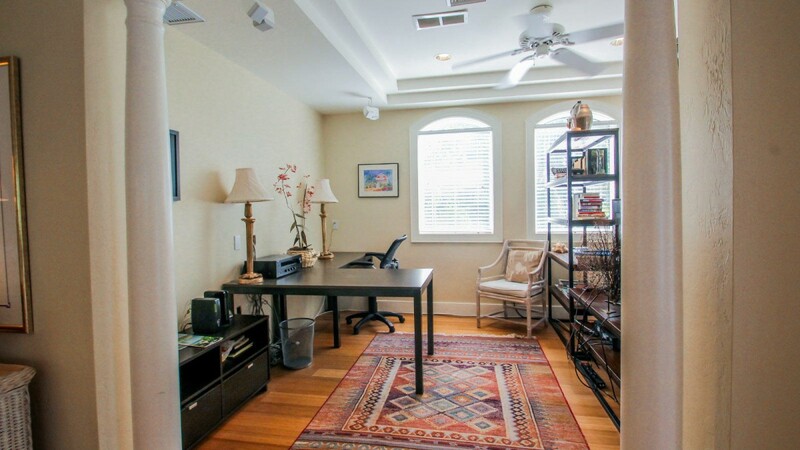 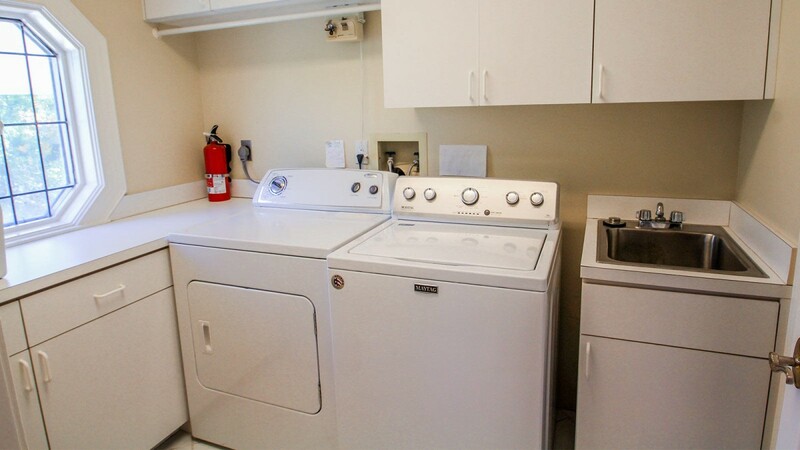 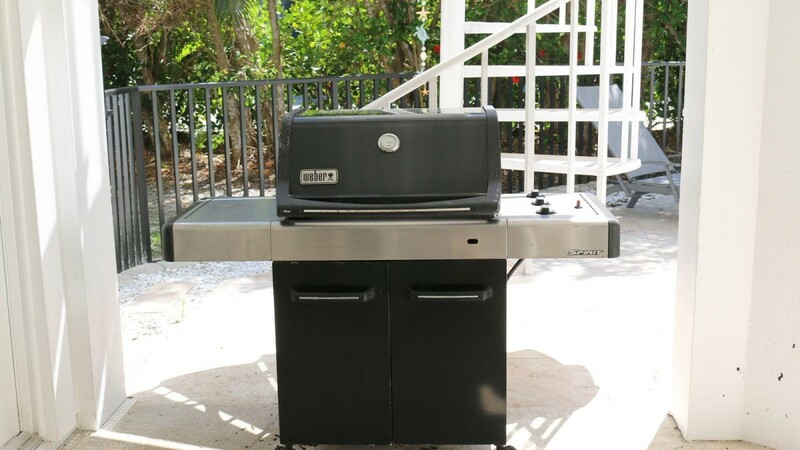 This owner provides bikes, beach equipment, beach towels, BBQ grill, wireless internet. 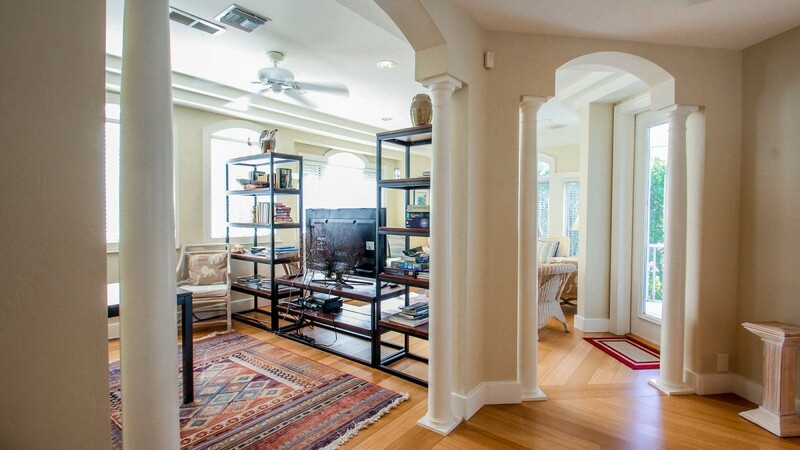 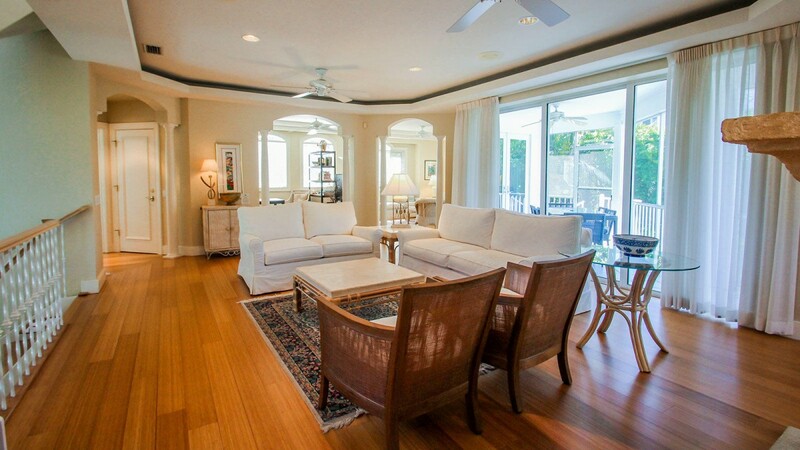 This is truly a home you can relax and entertain your guests in. 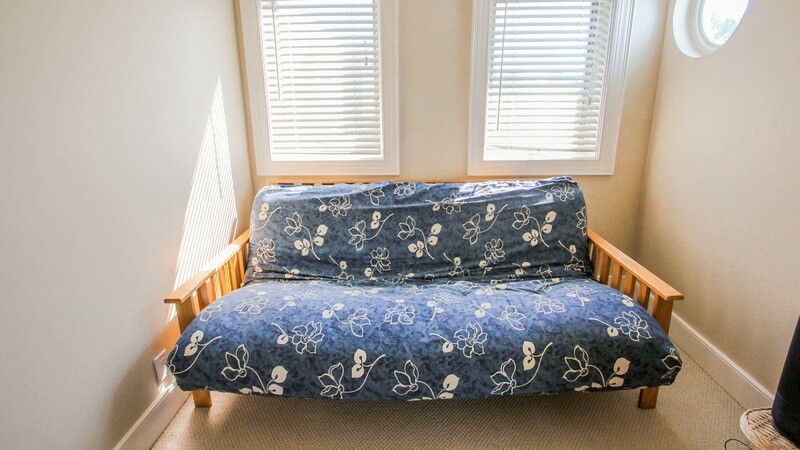 Sorry, NO Pets and NO Smoking Allowed.